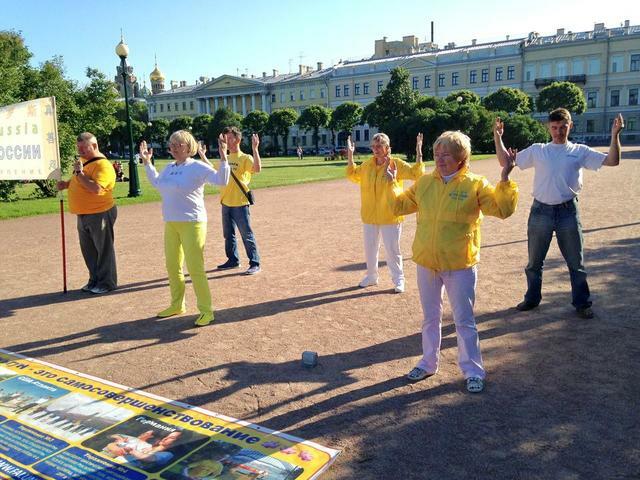 Falun Gong practitioners in Saint Petersburg, Russia set up an information booth on the Field of Mars on June 22-25, 2016. 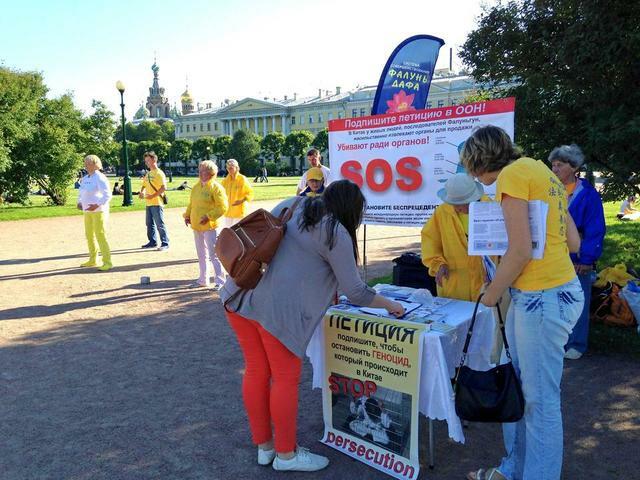 They introduced Falun Gong, exposed the Chinese Communist Party's (CCP) organ harvesting from living practitioners, and collected signatures calling for an end to the persecution. 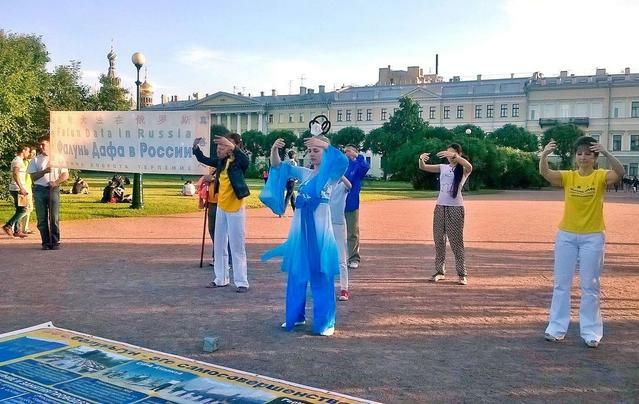 Many people carefully read the display boards and listened as Falun Gong practitioners introduced the practice. They were greatly disturbed upon hearing about the appalling crime of harvesting organs from living practitioners. 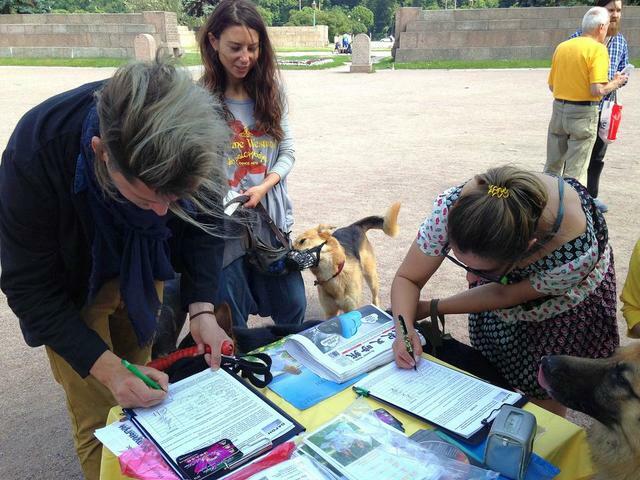 After learning the facts, they signed a petition calling for an end to the persecution and organ harvesting. A doctor from Moscow who specializes in organ transplants, said that organ donation in Russia requires consent from the donor as well as their entire family. She said that seizing organs without consent, especially from living people, would be a true crime. 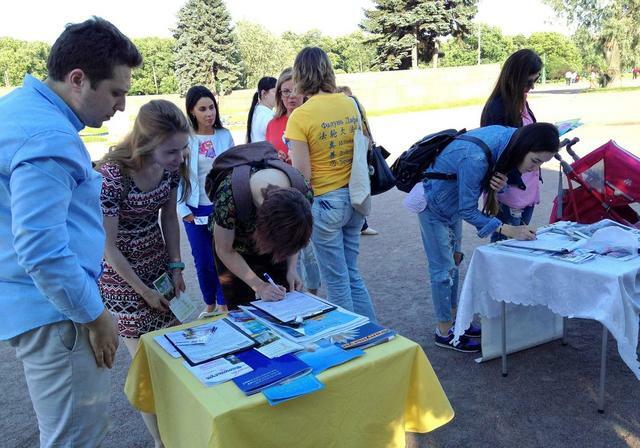 A large number of tourists from different countries visited the information booth. Some of them couldn't believe their eyes when they saw the banner about organ harvesting for the first time. After hearing Falun Gong practitioners explain the atrocity, they realized that the terrible crimes were still being committed. They didn't hesitate to sign the petition. Some said they would do their best to help spread the word, as they couldn't allow such a tragedy to continue.